I was so excited when I saw this stamp set in the mini catalog! 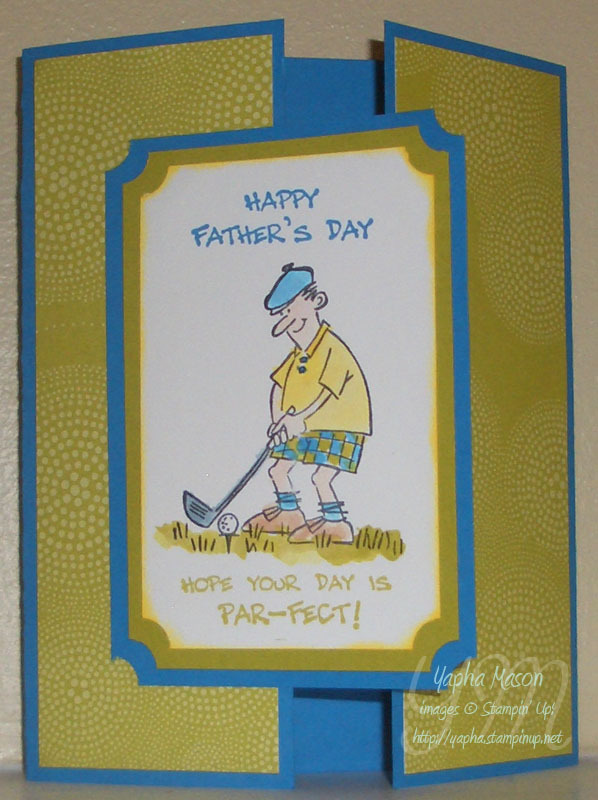 My in-laws are big golfers and I knew I just had to have this adorable golfer to make cards for them! This style of card is called a gate-fold, because, well, it opens up in the middle like a gate! This is one of the “fun folds” we’re going to be making at my fun folds class next Thursday in Ashby. Let me know if you are in the area, I’d love for you to come! How fun! I need to make a birthday card for my Dad…think I just found my inspiration. Thanks!